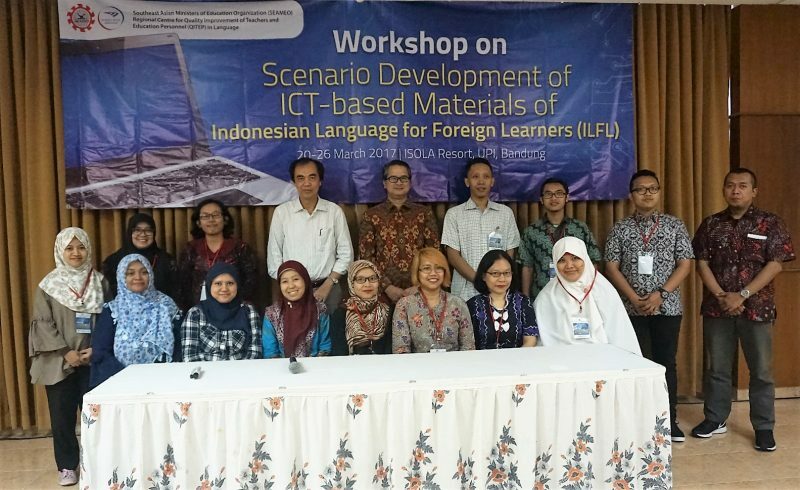 To support the promotion of Bahasa Indonesia as an international language, SEAMEO QITEP in Language (Centre) organised a workshop on 20-26 March 2017 at ISOLA Resort, Training Center Universitas Pendidikan Indonesia, Bandung. 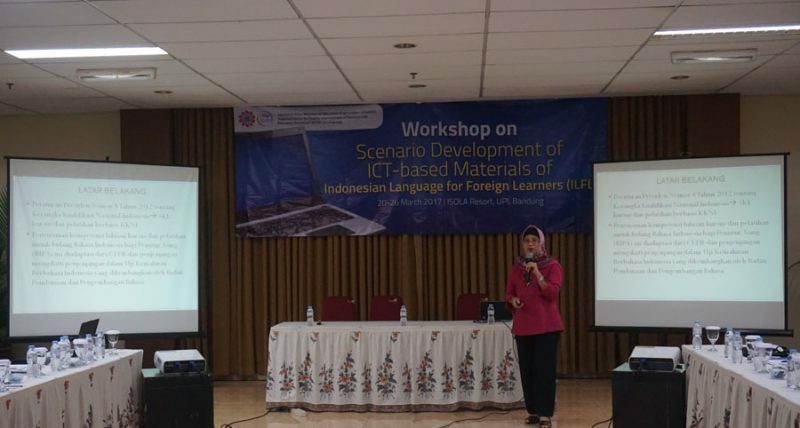 This workshop aimed to fine-tune the teaching materials of Indonesian Language for Foreign Learners (ILFL) which includes the learning scenario based on e-learning (HTML 5 or Android). The materials adopted The Common European Framework of Reference for Languages (CEFR) levels A1/A2. 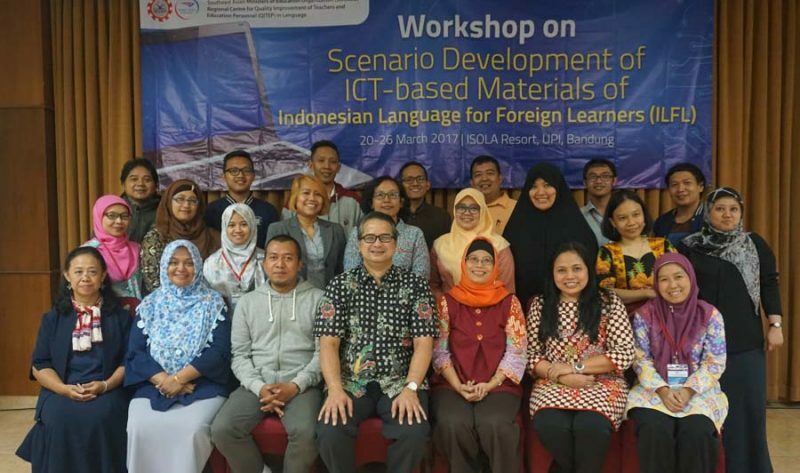 The team of trainers derived from various institutions, namely Dr. Liliana Muliastuti from Universitas Negeri Jakarta, Dr. Nuny Sulistiany Idris from Universitas Pendidikan Indonesia, Dien Rovieta from Unversitas Indonesia, and Iqbal Abdillah, an e-learning consultant from Verticalabs. During the workshop, the participants were divided into four groups based on the themes of developed, namely introduction, self-description, daily activities, and profession. The resource persons guided the participants to develop Learning Scenario and Storyboard. Afterwards, the four groups took turn to present their works. The resource persons, in return, gave their comments and suggestions on how to improve the learning scenarios. At the end of this workshop, the four groups successfully completed the storyboards with the four themes as targeted. These storyboards will be used as reference materials during the development of e-learning module. The workshop was officially closed by Rahadian Adetya, S.S., Head of Division of Research and Development Programme of SEAMEO QITEP in Language.